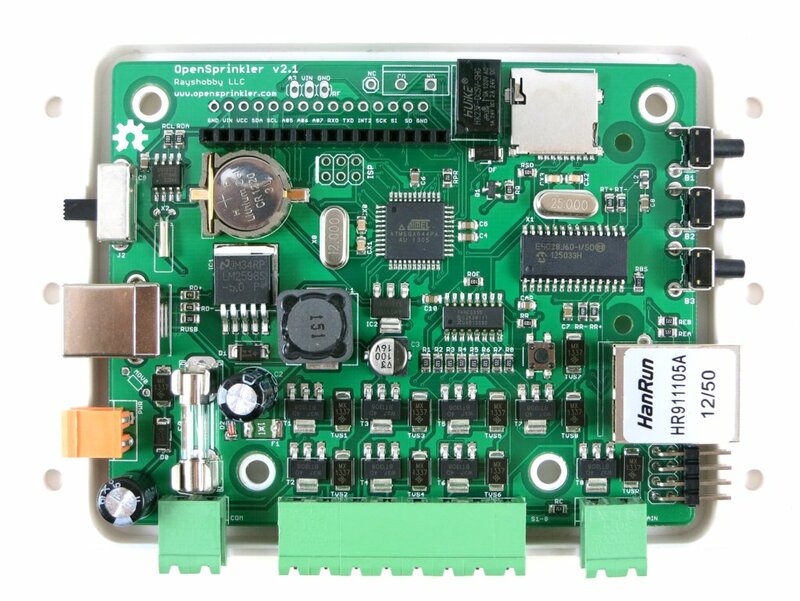 This is an official announcement of several recent OpenSprinkler updates: the fully assembled OpenSprinkler 2.1s, a new firmware revision 2.0.4, and a GUI-based firmware update tool. ATmega644 mcu running at 12MHz with USBasp bootloader. Added per-station transient voltage suppressor (TVS). Added TVS and 2A fuse on the 24V AC line. 24V AC terminal block is changed to orange-colored with 3.96mm spacing. These pretty much follow the same updates we made in the DIY kit 2.1u. 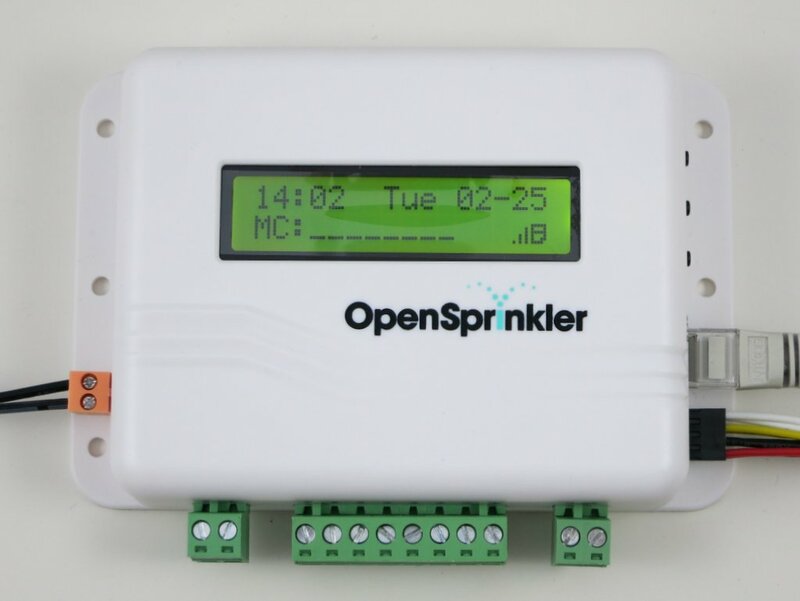 With these updates, it brings the fully assembled 2.1s to the same page, in terms of hardware features, with all other OpenSprinkler variants (e.g. OSPi, OSBo). OpenSprinkler v2.1s is now available for purchase at the Rayshobby Shop. This is a minor revision, but with important changes in preparation for Samer Albahra’s awesome new OpenSprinkler Mobile App. This new app is snappier and even more polished than the current version. It will have native apps on all mobile platforms. and it will also have cool new features such as language localization (yay!) and automatic discovery of OpenSprinkler devices. I am very grateful for Samer’s help and continued contributions to this project, and I’d also like to thank Balazs for contributing to the weather and the language localization features. Added support for JSON and fixed several bugs. Stores controller operation enable bit, manual mode bit, rain delay time in EEPROM. More options are made editable through the web interface. 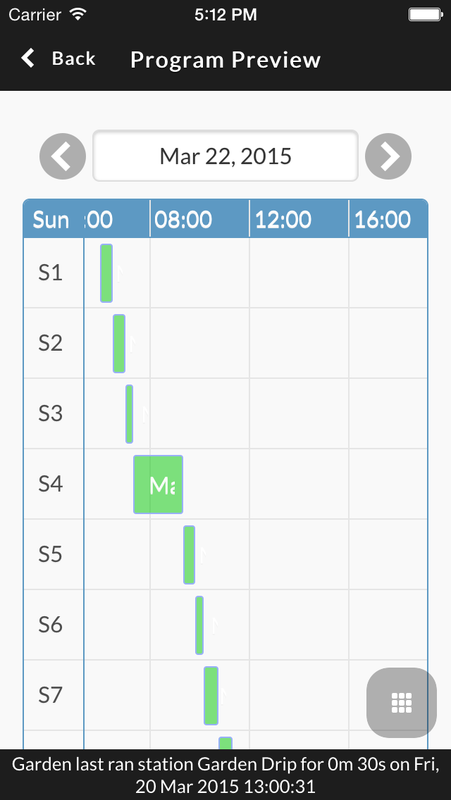 Added support to change time manually (enabled when NTP sync is turned off). Added LCD auto-dimming feature (after 30 seconds of inactivity, the LCD brightness will lower down to the LCD Dimming value set in options). http://x.x.x.x/jn: returns station names and data. http://x.x.x.x/js: returns station status bits. where x.x.x.x is the OpenSprinkler’s IP address. Right now the JSON code co-exists with code that spits out HTML pages, so there is a considerable amount of redundancy. This will soon change and the code will be significantly simplified in the near future. 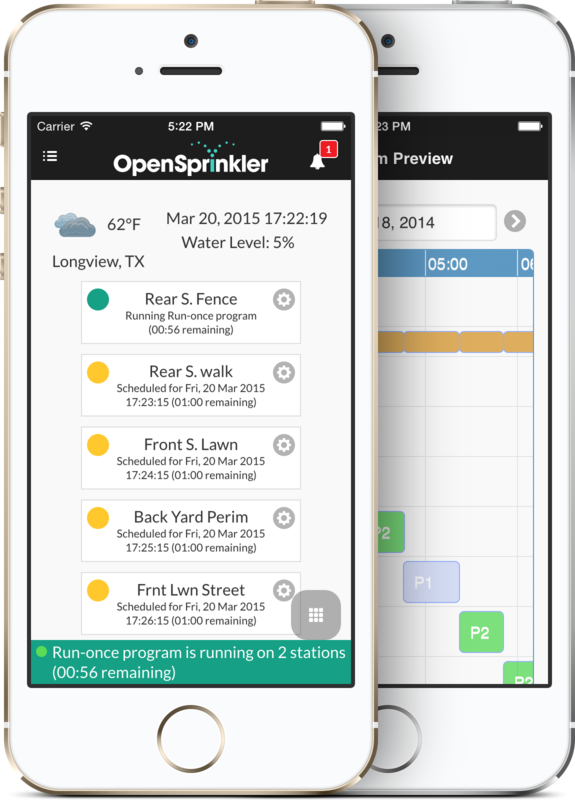 Firmware 2.0.4 is compatible with OpenSprinkler 2nd generation (including 2.0s and 2.1s/u). The source code is available for download at the OpenSprinkler Github repository. Please note that 2.0 and 2.1 use different microcontroller frequencies (8MHz and 12MHz respectively), therefore the compiled firmware files are different for them. If you’d like to upgrade to this firmware, please read on. Update: the information below is outdated. 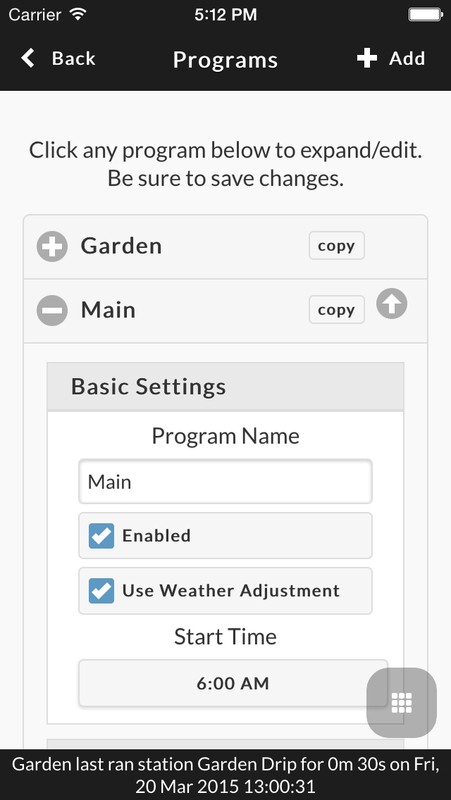 Please check the new OpenSprinkler Firmware Updater 2.0. The updater is written in Processing, so it’s naturally cross-platform. 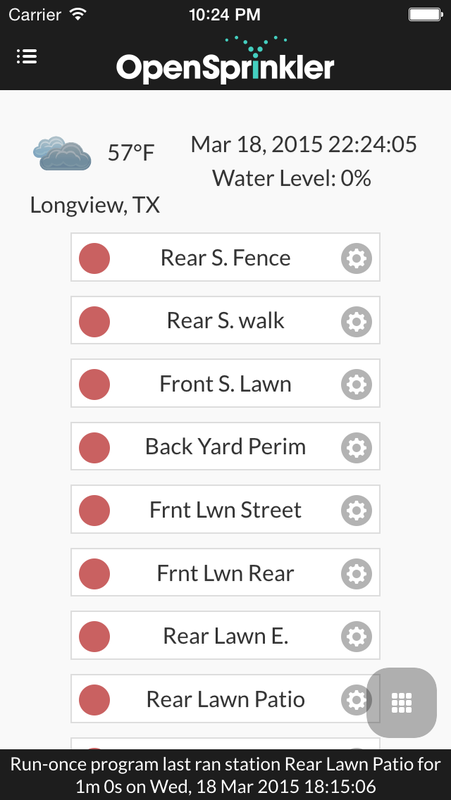 The usage is pretty simple: you select your OpenSprinkler hardware version, and the updater provides a list of available firmwares. You select which firmware you want (defaults to the latest version), and click on Upload. That’s it. The GUI provides some basic descriptions of the hardware (in case you forget which hardware you have), and instructions to enter bootloading mode. The firmware information is all stored in a file named os_firmware_info.txt. The avrdude program is packaged together with the tool so you do not need to install it separately (except in Linux, where you can easily install avrdude by sudo apt-get install avrdude). There is one remaining piece, though — if you are a Windows user, you need to install USBtinyISP driver (for OpenSprinkler 1st-gen and OpenSprinkler 2.0) or USBasp driver (for OpenSprinkler 2.1u/s). Please refer to the Firmware Update instructions for additional details. This is probably the biggest technical hurdle and we are trying to find a more user-friendly solution. Basically, if you are using Windows XP, Vista, or 7 users, it’s not too bad; but if you are using Windows 8, it gets really messy — you need to disable driver enforcement before you can install the drivers. If you are lost, try to google ‘Windows 8 USBtinyISP’, or ‘Windows 8 USBasp’ and you should be able to find successful solutions. If for the life of yours you simply cannot get the driver installed, you are resort to the Rayshobby pre-configured VirtualBox image — is creates a Virtual Linux in your host Windows OS, and passes the USB programmer directly to the Virtual OS, thus bypassing the Windows driver issue. Please run the ‘osFirmwareUpdater’ program in the folder that corresponds to your operating system. Note: if you see messages such as avrdude: warning: cannot set sck period. Please check for usbasp firmware update., and avrdude: error: usbasp_transmit: usbasp_control_msg: sending control message failed, these are normal and can be safely ignored. These warnings / errors have to do with the behavior of the bootloader upon reset. They do NOT mean the firmware upload has failed. Mac Users: if you encounter an error Application is damaged and can’t be opened, you need to temporarily change a Security and Privacy setting in System Preferences. See the details in this work-around. This is a first step towards making the update process more user friendly. Comments and suggestions are welcome!